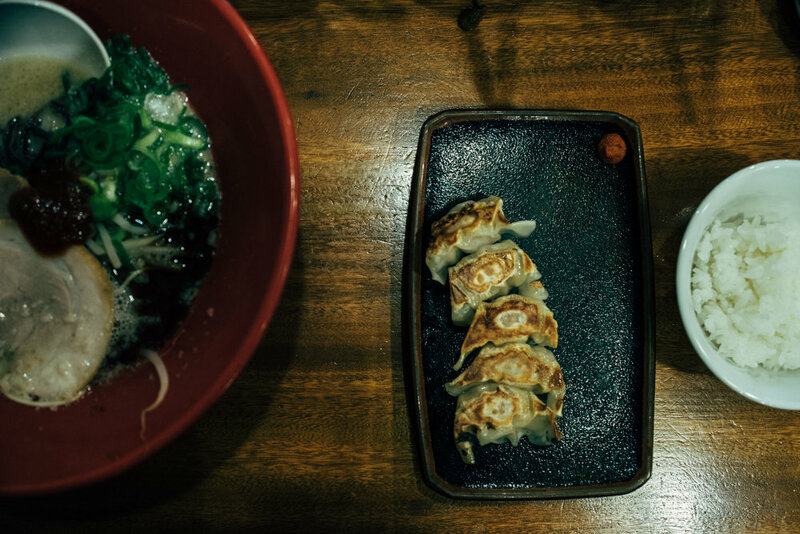 Tokyo has an endless number of places to visit, foods to eat, things to shop and drinks to drink. These are only a very few of places I like to visit. Some favourites are missing from this list, some I am yet to discover, so the selection might grow in the future. Meanwhile, enjoy. Right behind the Naka-Meguro station is this small place where you either grab a coffee to go or you take it upstairs to a small room where you can watch the train pass by outside the windows. A good place to pop by before heading to LDK1 or Daikanyama for some shopping. On the 7th floor of the Louis Vuitton building in high end Omotesando Espace Louis Vuitton opened up doors in 2011. It is a modern art gallery well worth a visit, where well curated artists from all over the world are invited to share their work. Earlier shows range from Dan Flavin to Steve McQueen. It's my ideal pause when Omotesando grows overwhelming. One if the first Ramen places I ever visited in Tokyo, and I still keep coming back. Despite Ippudo being a chain which nowadays even can be found outside of Japan (however with a different menu) their Ebisu outlet has something which attracts me, and others as is not seldom you find yourself in a queue outside. Their Aka-maru is incredibly satisfying with a thicker full depth soup, and a little bit of spiciness on top. You'll slurp down the whole bowl, I promise. Also, don't miss out their spicy pickled beansprouts placed in ceramic urns on the tables. A Tokyo classic. Filled with just as many locals as tourists this place never seem to go out of fashion. Originally Fuglen is an Oslo coffee shop with this one Japan outlet close to Yoyogi-Hachiman. Scandinavian 50's interior, a good hand-drip and a constant flow of people makes this a place I always squeeze in a visit to, just to sit down for a few moments with a book or for people-watching. Somewhere in between Shibuya and Shimokitazawa, in a residential area you find this calm little gem of a museum. Founded in 1936 by the father of the Mingei (Japanese folk craft) movement, Soetsu Yanagi, this museum still resides in is original venue. The building combines both Japanese and some western style and was designed by Yanagi to display artworks in the best possible way. It is a pleasure to walk inside this museum where light and interior plays so well together and the selection of exhibitions gives a glimpse crafts that you don't encounter often in modern Japan. Before you leave, make sure you pop in to the museum store, which in itself is worth a detour. In between Naka-Meguro and Shibuya in what seems more like a residential neighbourhood you can find dane Peter Ny Buhl's coffee shop. Specialising in hand-brewn coffee using beans from nordic manufacturers this sleek spot is great for hiding from the rain or when you simply need great cup of coffee (or danish pastry!). If you are looking to hide away for a bit with a modern cup of traditional tea this is your place. Run by tea master Shinya Sakurai and designed by ever impressive Simplicity the Sakurai space on floor 5 of the Spiral Building exquisitely combines tradition and modernism forming a new kind of tea experience. Built upon the ancient traditions of preparing Japanese tea this secretive space both calms you and leaves you with novel impressions. 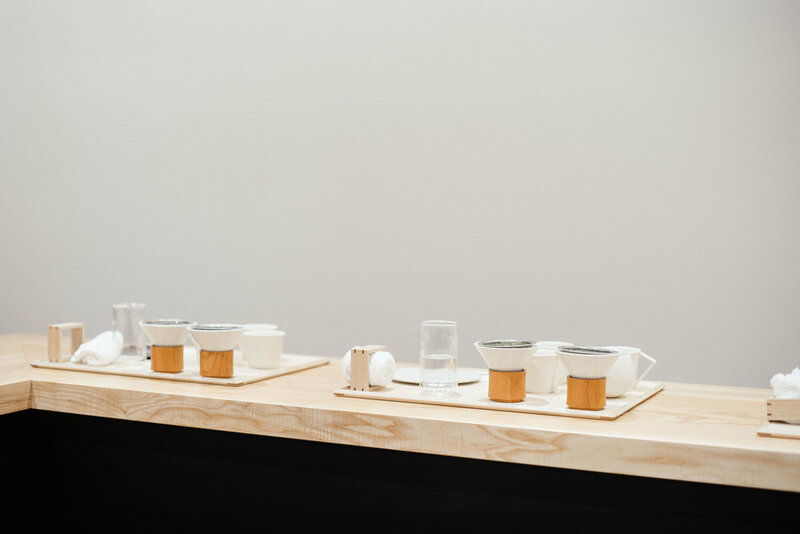 Their tea-tasting menu is both balanced and fun; you get to sense both the width and depth of Japanese tea while observing a precise performance. Everything from the smell of newly toasted hojicha to the small serving of brewn green tea leaves and the seasonal wagashi* are things you want to encounter again and again. If you don't have too much time to spare and are in the mood for something refreshing my recommendation is the matcha-beer, a creation you definitely won't find elsewhere. Given my love for cooking it's no wonder that Kama-Asa is one of my Tokyo favourites. 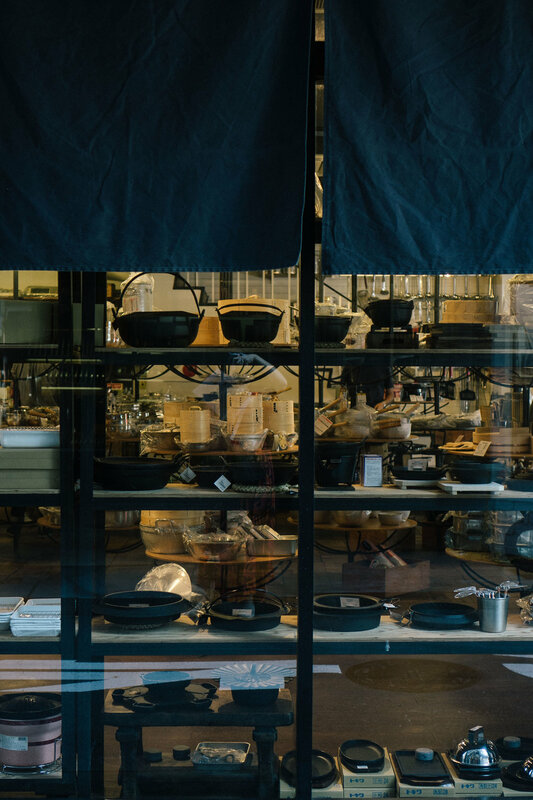 And it's more of an institution than anything else, having opened up in Asakusa Kappabashi (a district known for it's numerous stores selling kitchen tools) already in 1908. 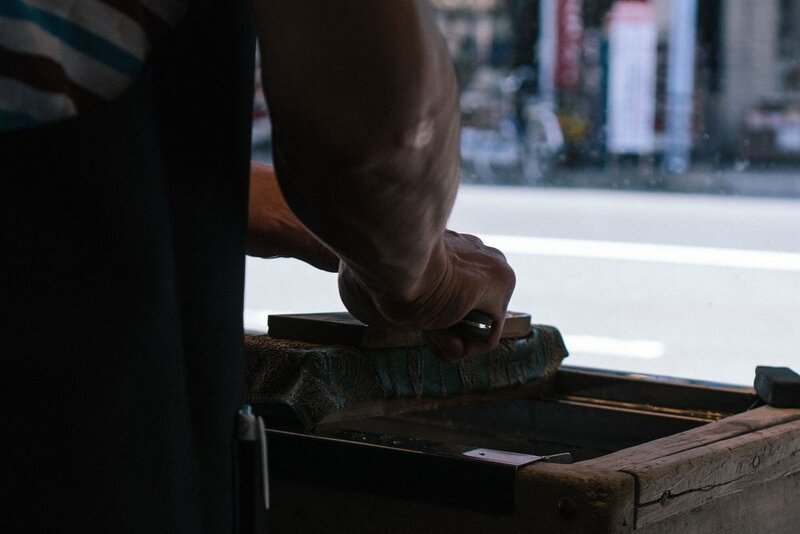 They sell carefully selected kitchen tools and knives from craftspeople all over Japan - just as popular among chefs as home cooks. If you are looking for anything from a Japanese omelette frying pan, a Yukihira pot or a even a table grill this is your place. It's no fuss and no fancy paper, but really good and long-lasting tools that, as their motto says, has a reason for being. Because they serve their purpose beautifully. In what may seem like a little off place this sleek and tranquil 9-seat tea place in Sangen-jaya is experimenting with a new way of brewing green tea. Namely by hand-drip. Both the store and the concept is a design dream. In light of Japan having a tradition of some serious hand-brewn coffee, this is an interesting merge of two drink traditions. The single origin teas on offer have been picked with care and you get to select two different teas, which are brewn at varying temperatures depending on the leaves. Teas are seeped at least twice so that you get to sense how the tea changes, and you'll be surprised as to the layers of flavours which can be extracted from the leaves. Simple snacks such as seasonal Japanese style sweets are a must try, and perfect to balance the notes of bitter in the green tea. Tea nerds, do put this on your list.